Live! 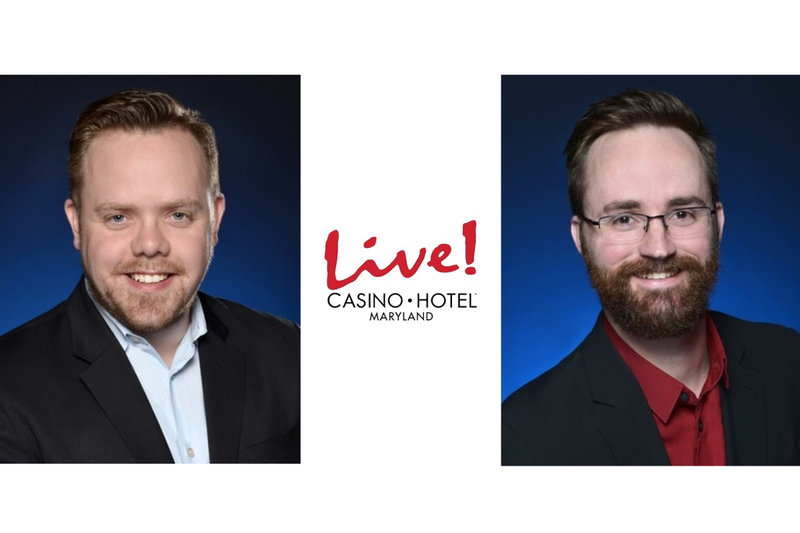 Casino & Hotel announced the appointments of CHRIS MCMILLAN as Director of Application Development, CHRISTOPHER FITZGERALD as Director of Finance, and RYAN DEWEY as Director of Audio Visual. In his new position, Mr. McMillan will be responsible for managing Live! Casino & Hotel‘s databases. His team will also enhance the casino’s information security and application design with a focus on architecture, analysis and development. Mr. McMillan started at Live! Casino & Hotel in 2015 as a Senior Developer. Prior to that, he spent 17 years in the IT industry, with 11 years as a specialist in application development, where he enhanced efficiency and innovation. Currently, Mr. McMillan serves as an executive member on the Teradata Analytics Universe steering committee. He is a graduate of Texas A&M University and received his Master’s in Computer Science from Lamar University. As the new Director of Finance for the Hospitality division, Mr. Fitzgerald will oversee and enforce all the financial operations of Live! Casino & Hotel. Additional responsibilities will include managing cash flow, preparing budget forecasts, and guaranteeing the security of all personal and financial information. Mr. Fitzgerald brings nineteen years of hospitality experience, and over a decade of accounting and finance experience to his new role. Fitzgerald is a graduate of University of Maryland Eastern Shore with a degree in Hotel and Restaurant Management Accounting. Mr. Dewey has been with Live! Casino & Hotel since 2013. In his new position as Director of Audio Visual, he will be responsible for overseeing the production and audio-visual components across the property’s numerous entertainment locations, including the new state-of-the-art Live! Event Center. Mr. Dewey has more than a decade of experience in the AV industry, working on national tours, corporate events and concert productions. Dewey is a Certified Technology Specialist of Infocomm International and a graduate of International Academy of Design and Technology. Live! Casino & Hotel is one of the largest commercial casinos in the country, located in the Washington DC/Baltimore corridor, just off I-95, Route 100 and the B/W Parkway at Arundel Mills. Open 24/7/365, the property features more than 200 live action table games, including a Poker Room; approximately 4,000 slot machines; two High Limit rooms; and the Orchid Gaming & Smoking Patio. Guests can enjoy five-star accommodations, including 310 luxury guest rooms; the Live! Spa; world-class dining, featuring the Zagat-rated #1 steakhouse The Prime Rib®; David’s, featuring global cuisine; Bobby’s Burger Palace, from celebrated chef Bobby Flay; The Cheesecake Factory®; Luk Fu and 8 at Luk Fu, serving authentic sushi and Asian cuisine; Morty’s Deli; Latin cuisine at En Vivo; Phillips® Seafood Express; and Luckies, offering Starbucks coffee, pastries, and Italian gelato; and a sizzling nightlife, including nightly entertainment at Live! Center Stage; the R Bar; and The Lobby Bar at David’s. A 4,000-seat Event Center, opening in two phases, featuring 40,000-square-feet of meeting and banquet space, and a performance venue with a regular lineup of headline entertainment completes the Live! experience. Enjoy secure covered parking with valet service and a free self-park garage with Park Assist® and direct elevator access to the casino floor. The newly-renovated Live! Lofts boutique hotel, located just minutes from the Casino, features 250 guest rooms and suites, and approximately 3,400-square-feet of meeting and banquet space. For reservations, call 443-445-2929, or book online at LiveCasinoHotel.com. Live! Casino & Hotel and Live! Lofts are owned and operated by a company that is affiliated with The Cordish Companies. Call 855-5MD-LIVE (855-563-5483); or visit LiveCasinoHotel.com or LiveCasino.social.